Why have we prepared this module? Telmisartan is a new drug that is being promoted. It is also a new class of drug in veterinary medicine. Why should you do this module? To know key facts about the drug and the evidence about its efficacy. To be able to make a rational decision about its use. Vet Times 19th October, 2015. Telmisartan (Semintra, POM-V) is the first veterinary angiotensin-II receptor blocker* to be licensed in the UK. 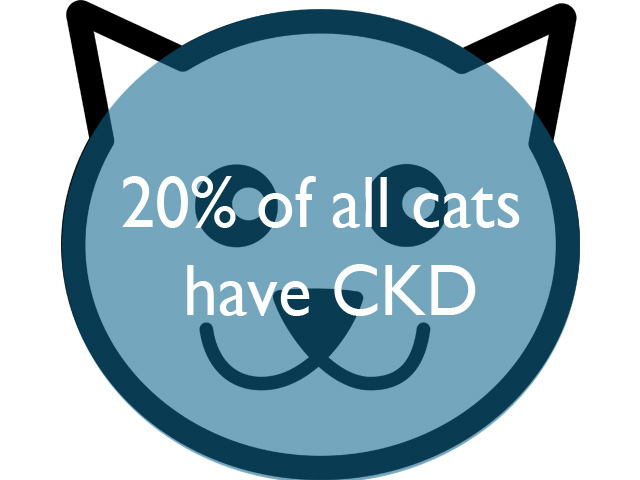 It is licensed for reducing proteinuria associated with chronic kidney disease (CKD) in cats. (SPC 2013) It is advertised as “an easy-to-give, liquid treatment". (Vet Times Advert 2015) How effective is telmisartan? And how does it compare with benazepril, which is licensed for the same indication? *Angiotensin-II blockers are also known as ARBs, angiotensin-II antagonists or sartans . The clinical signs of CKD in cats include lethargy, decreased appetite, weight loss, and polyuria and polydipsia. (DiBartola et al 1987 no online version see references at end). We searched for published evidence on the efficacy and safety of telmisartan and found one randomised controlled trial. (Sent et al 2015) This was the basis for the marketing authorisation. (EPAR 2014) You can see the main features of the trial design in the following slideshow. Result: Telmisartan was judged non-inferior to benazepril in controlling proteinuria. This was on the basis that the difference between telmisartan and benazepril in their effects on UPC was 0.116 (95% confidence interval [CI] -0.035 to 0.268) and the lower confidence limit for this difference (­-0.035) was not more negative than the pre-defined non-inferiority margin (-0.108). Both telmisartan and benazepril were well tolerated. Cost: The list price of telmisartan (4mg/ml) is £16.63 for 30ml. The mean weight of the cats in the trial was about 4kg (Sent 2015); one bottle of telmisartan would last about a month for a 4kg cat. This compares with around £11-13 for benazepril 2.5mg daily (for the brand Fortekor). Cheaper generic versions of benazepril are available. 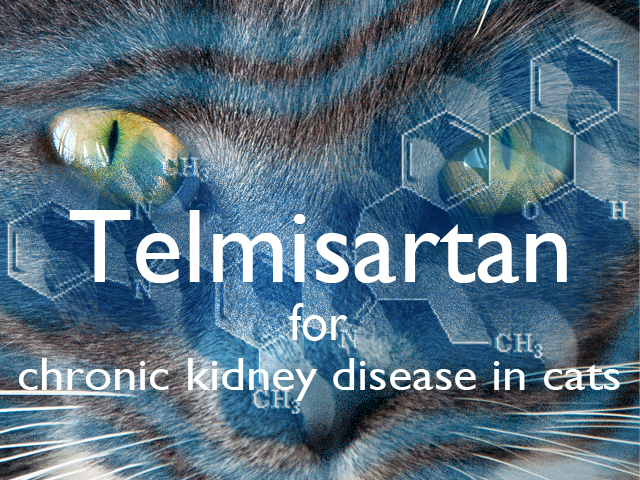 Telmisartan is an angiotensin-II receptor blocker licensed for reducing proteinuria in cats with chronic kidney disease. There is one published trial of telmisartan in cats, and this formed the basis of the marketing authorisation for the drug. The trial, in cats mainly with borderline proteinuria, showed that telmisartan was no worse than benazepril in reducing proteinuria. Telmisartan gives the option of a treatment in a liquid rather than a tablet form. List prices indicate it costs about the same as benazepril (as Fortekor). If you prefer, you can listen to the whole audio presentation about telmisartan in the following podcast. Don't forget that you can also download the podcast to your iPod, music player, tablet or smartphone using the Download link on the right of the audio player. Specific learning objectives: to improve knowledge and understanding of the use of telmisartan for cats with CKD. Click the button below when you are ready to answer the CPD questions based on the Telmisartan article from Veterinary Prescriber. Once complete you will be emailed with the results of your Telmisartan CPD along with the answers so make sure you enter your email address carefully at the head of the form. 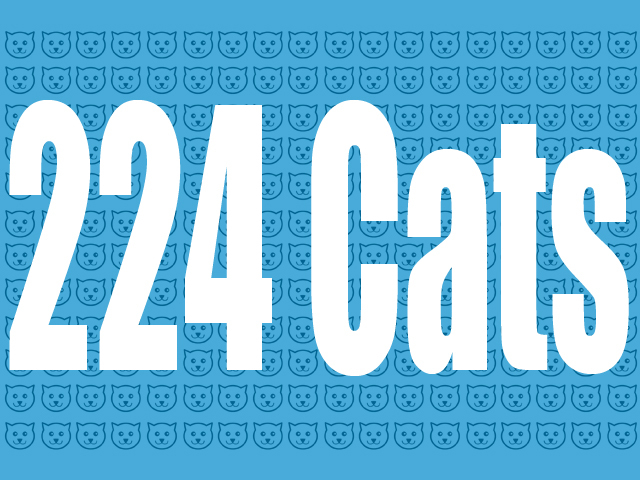 What proportion of cats aged over 15 years has chronic kidney disease? In cats, the hazard ratio for death or euthanasia for a urine protein:creatinine ratio (UPC) of 0.2 -0.4 is 2.9. Treatments that reduce proteinuria arrest the progression of kidney disease. Which of the following is true about non-inferiority trials? New drugs are often tested in non-inferiority trials. What is incorrect about telmisartan? Telmisartan rarely causes mild transient regurgitation, vomiting, diarrhoea or soft faeces. Telmisartan oral solution can be given directly into the mouth or with a small amount of food. What will you do as a result of reading this module? How long did it take you to read and reflect? Boehringer Ingelheim. Semintra advertisement. Vet Times September 2015. Boyd LM et al. Survival in cats with naturally occurring chronic kidney disease (2000–2002). J Vet Int Med 2008; 22: 1111-7. DiBartola SP et al. Clinicopathologic findings associated with chronic renal disease in cats: 74 cases (1973-1984). JAVMA 1987; 190: 1196-202.
International Renal Interest Society. IRIS Guidelines [online]. King JN et al. Tolerability and efficacy of benazepril in cats with chronic kidney disease. J Vet Intern Med 2006; 20: 1054-64. MHRA. Combination use of medicines from different classes of renin-angiotensin system blocking agents: risk of hyperkalaemia, hypotension, and impaired renal function—new warnings. Drug Safety Update 2014. Mizutani H et al. Evaluation of the clinical efficacy of benazepril in the treatment of chronic renal insufficiency in cats. J Vet Intern Med 2006; 20: 1074-9. Sent U et al. Comparison of efficacy of long-term oral treatment with telmisartan and benazepril in cats with chronic kidney disease. J Vet Int Med 2015; DOI: 10.1111/jvim.13639. Syme HM et al. Survival of cats with naturally occurring chronic renal failure is related to severity of proteinuria. J Vet Intern Med 2006; 20: 528-35.